Hello, here we are again, another week flown by! Thanks to everyone who made lovely umbrella works of art last week! 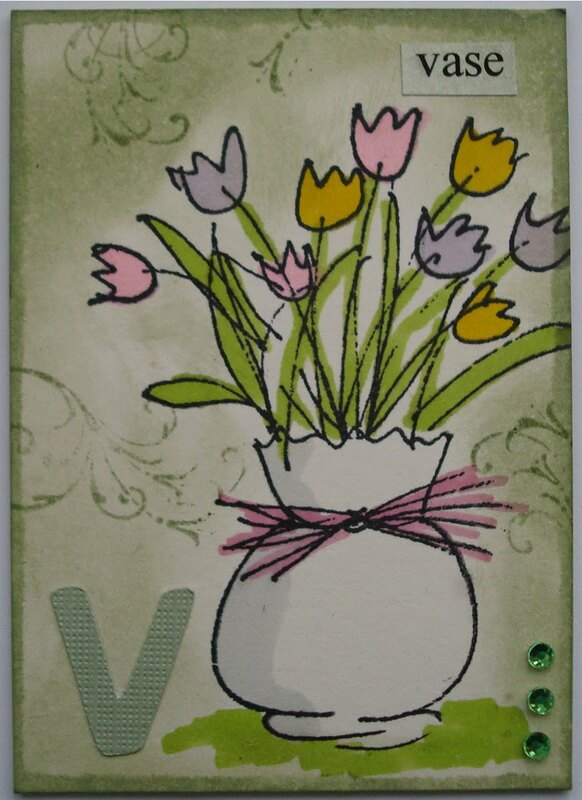 For this week, we have got V for Vase for you, so dig out your flower stamps and embellishments and maybe make a vase if you don't have one - see our DT's examples for inspiration! Linda has made this stunning card by drawing her vase onto clear shrink plastic to look like glass. What a fab idea! 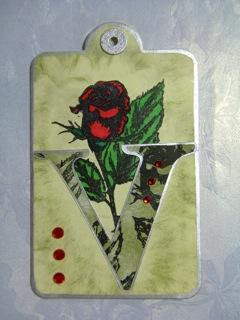 Fifi has made another of her beautiful tags, featuring Linda's rose stamp, and has made her letter V into the vase!! And I have used a Hero Arts stamp for my ATC . Hi all, many thanks to everyone who participated last week, it was lovely seeing all your tags, and there is still time to show us your tag entries, as I am a bit early again this week, as I'm not going to be around until late tomorrow. So this week, will really stretch your talents, we are looking forward to seeing all your umberellas! 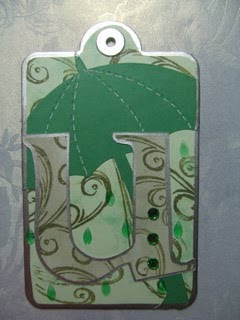 Fifi has made another lovely tag, on which she has again managed to incorporate one of my swirl stamps! 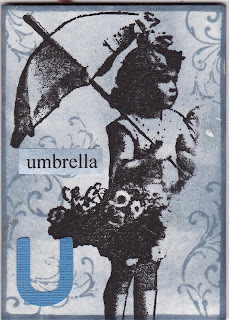 And Lesley has continued her fabulous set of ATCs with this charming image. Hi everyone, many thanks for all your lovely entries last week. We are a bit early this week, as we are going to be busy tomorrow! 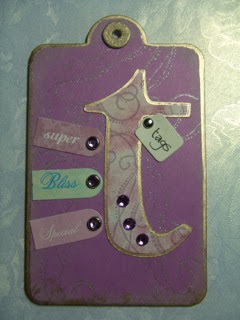 This week we have chosen T for Tag, whether you actually make a tag or feature one somewhere on your work is up to you. I have gone for actually making a tag, and have used my own butterfly stamps to make the butterflies. The tag has been finished off with my usual painted flowers! 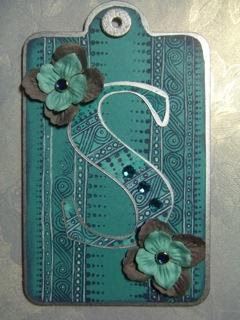 Fifi has made another lovely tag, featuring some smaller tags, and she has again used my swirl stamp. 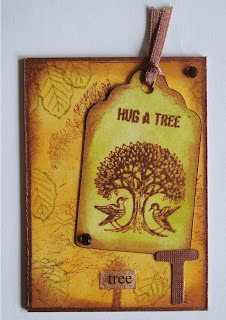 Lesley's beautiful collection of ATCs continues with this lovely one, featuring a tag with a tree, multiple t's there! Hi everyone and thanks for all the lovely red creations last week! This week we are up to S and our theme is S for Stamping - so we would like to see something stamped on your work somewhere, and don't forget you can make anything for this challenge. 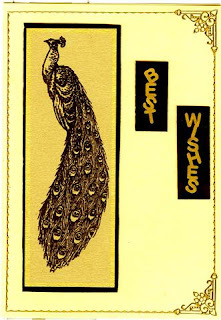 This week Linda has stamped her own design beautiful peacock on this lovely bright card. 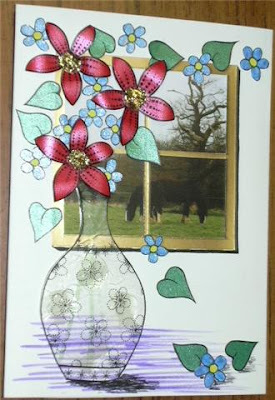 Fifi has made another of her fab tags and has again used Linda's own design stamps. 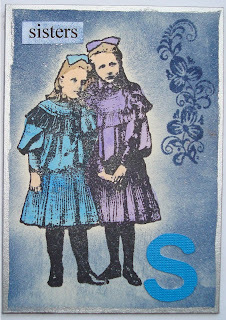 And I have made another atc for my A - Z alphabet book.